Novato’s Bel Marin Keys provides a carefree and luxurious waterfont lifestyle in Southern Novato, just 30 minutes from San Francisco. Few places are as magical as Bel Marin Keys. This unique community consists of a series of channels and lagoons flanked by homes and surrounded by open spaces. Not only can you enjoy the lagoon, but if that proves too confining, you also have nautical access to the San Francisco Bay (Giants game anyone?). Homes in Bel Marin Keys range in size from about 1,750 sq. ft. to about 2,250 sq. ft. and are priced generally from about $700,000 to $1.5 million, depending on size, upgrades, and location. There are playgrounds, parks, boat launches, trails, and tennis courts all right in Bel Marin Keys. Just a couple of minutes outside of the neighborhood is the Bel Marin Keys business district (an easy bike ride to work) and the Hamilton Marketplace shopping center (featuring a Safeway, Jamba Juice, Starbucks, Peets, banking, and more). My name is Kyle Frazier and I am an expert on Bel Marin Keys real estate and have sold many homes here. I am a broker and certified residential specialist with Frank Howard Allen Realtors, the largest and most respected real estate firm in Marin County. 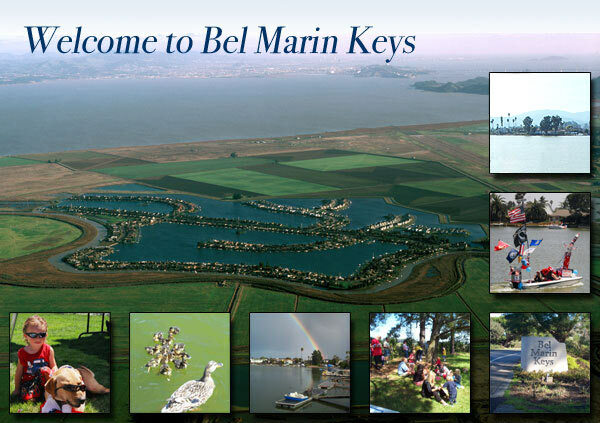 Please call me at (415) 350-9440 if you would like to discuss Bel Marin Keys or Novato, in general. It is always my pleasure to be of service.